Countdown Timer add-on provides you with a possibility to introduce limited-time offers in your web store which create a sense of urgency and trigger sales. To enable/disable countdown timer, go to General Settings. 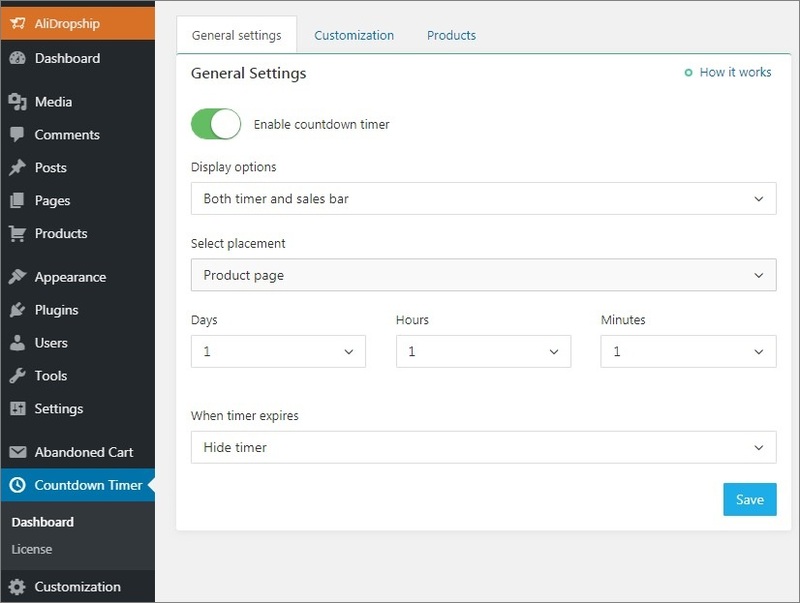 Countdown timer consists of two elements: timer and sales bar. In Display options you can show either both of them together or choose one feature only. 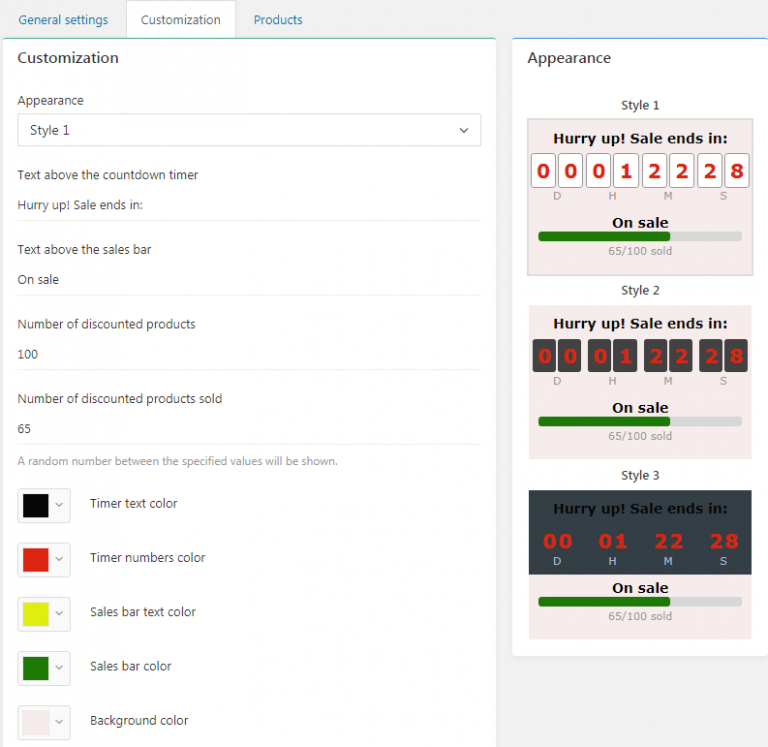 Timers can be placed on home page, specific product pages or category pages. Choose time range yourself by editing days, hours and minutes. When timer expires, you can hide it or restart. In Products tab you can apply countdown timer to the whole category, all items or choose some specific products.